God's Grandmother: Saint Anne - My Catholic Family Magazine "STRENGTHENING the Family"
Those who venerate good St. Anne shall want for nothing, either in this life or the next." I admonish you to venerate and praise my dear mother...if you desire great graces from me. ​​I wrote this book to thank Saint Anne for the graces she obtained for me and to inspire everyone to become her grandchildren as she will shower her grandchildren with so many great graces. This book tells the inspired story of her amazing holy life and how she obtained the grace to become the mother of the Mother All Graces, Mary. It also tells the story of one of the greatest Basilica's in the World: Saint Anne de Beaupre and the amazing graces obtained there. It also has a chapter on Prayer, to inspire you to pray as best as you can and a chapter on Grandparents and how important and special they are to us all. Those who worthily venerate St. Anne can obtain aid in every necessity through her mediation." 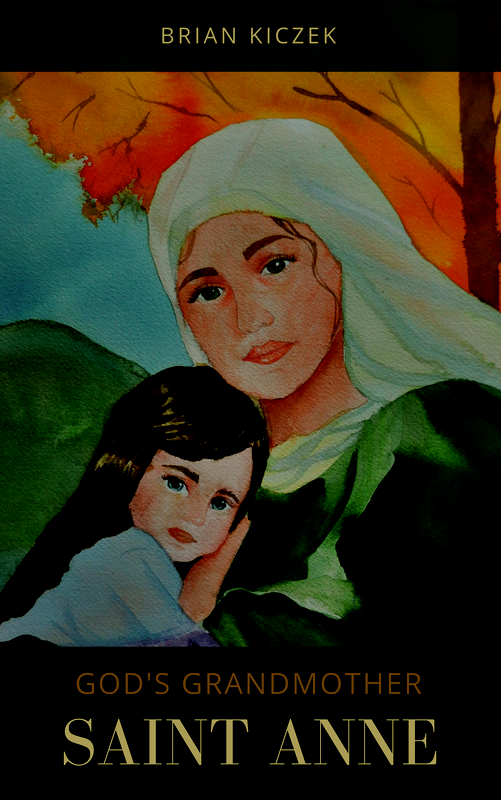 "No one knows, no one believes, how many favors God confers on lovers of Saint Anne!" "The honor you show to my mother is doubly dear and pleasing to me."